Teaching has moved away from a strictly traditional teacher orientated class, where the teacher talks and the pupils are expected to only work individually and independently. Pupils are required to develop skills that help them work well in a team. Setting groups and giving children the opportunity to work together for a common goal helps strengthen their relationships and develop higher order thinking skills needed to compromise, persuade and co-operate, all of which are life-long interpersonal skills. When children are working in pairs/groups, they are working collaboratively. 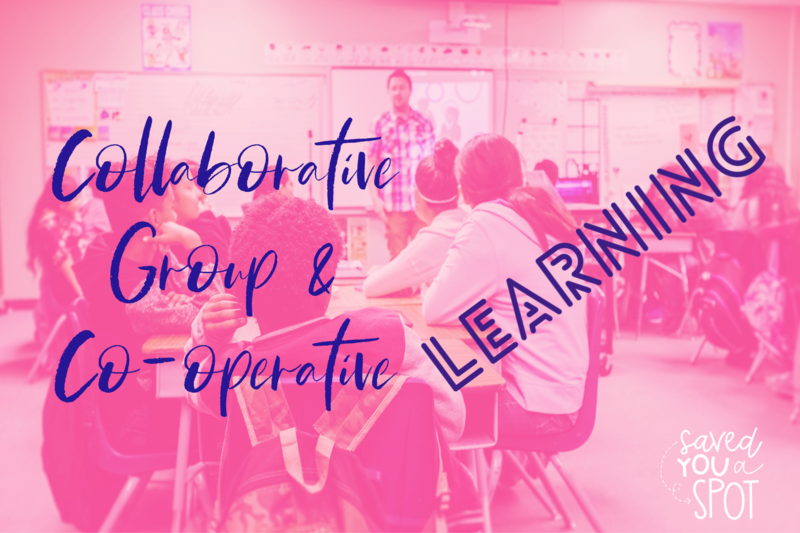 However, many teachers do not properly structure groups and instead of having cooperative group learning, they have what is called group learning. Group learning is beneficial but may not always provide pupils with the same incentives nor in many cases is it as fair for them if that is the only form of learning they are exposed to. In group work it is common for a few to take on the workload, whilst the others sit back and wait for it to be done. Co-operative learning is a form of collaborative learning, in which the group works together to maximise their own and each other’s learning. In co-operative learning, the development of social skills is very important. The groups are formally structured, and each person in the group is assigned a certain role. It could be said that in collaborative learning, the children are working in a group, whereas in co-operative learning they are working as a group. Roles that you might consider for a group of 4 for example, might be: manager, encourager, recorder keeper and reporter. It is important for the teacher to model these roles and show how to resolve conflicts. This can be done by intervening when needed and guiding the children appropriately. Know that not all children will able to manage in situations like this; some may have a natural flair and love working in this manner, whilst others may find it very difficult and require more time to master their assigned roles. The roles should be switched over a period of time so that all children get a chance to take on a different role. At the end of the assigned task, the entire group/class could evaluate and reflect. Cooperative learning activities take longer to create and assess but they are much more effective in helping students learn to work as part of a team. What are your thoughts on collaborative, group and co-operative learning? I think it’s wonderful to have children working together collaboratively and cooperatively. So much synergy comes from the exchange of ideas. Yes, I agree! Do you find planning for it hard? I think it can be difficult to plan so that the children are working collaboratively rather than just side by side. It gets easier with practice.